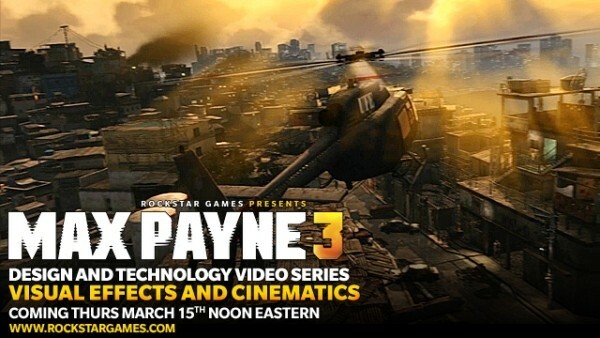 Rockstar is set to release their next video on the technology of Max Payne 3 tomorrow, titled “Vistual Effects & Cinematics”. The video will be available at noon EST. Here’s a snippet of what to expect. We’ll post the video the moment it’s available. Max Payne 3 releases on May 15, 2012 for the Playstation 3 & XBox and on May 18th for Windows.